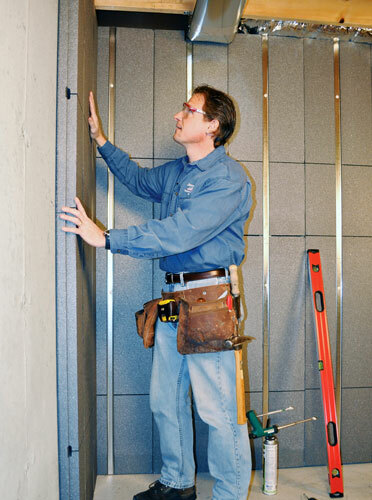 These wall panels are designed with 2 ½" of graphite-infused SilverGlo™ Insulation and a durable, lightweight metal stud system. 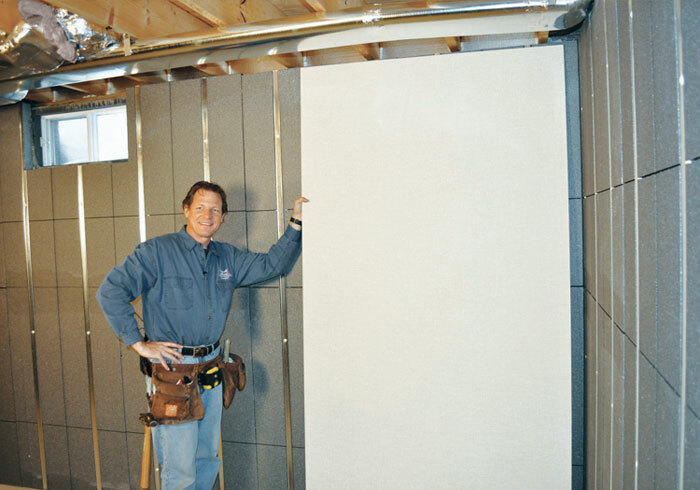 These panels install quickly on your basement walls, providing a complete stud and wall insulation system that is ready to accept wall paneling. 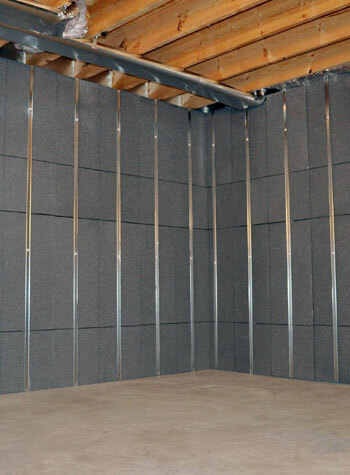 This unique wall paneling system creates a vapor barrier on your basement walls that holds back moisture that would otherwise pass through the porous concrete. It can also be fully integrated with any our basement drain systems, directing water and moisture from the walls to your sump pump. We do more than just basements! 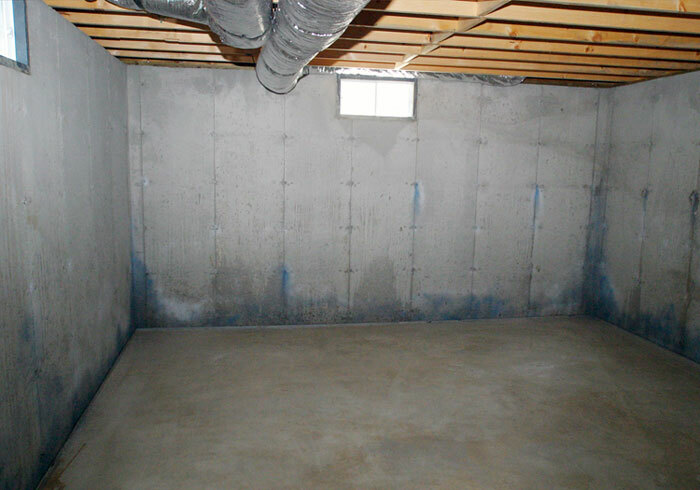 Our professional waterproofers can also insulate your basement walls and prepare them with a stud system for finishing. To learn more about how we can help you, contact us by phone or e-mail today to schedule a free basement wall insulation quote! Basement To Beautiful™ Panels contain advanced SilverGlo™ insulation -- which is graphite-infused to enhance its insular properties by 24%. 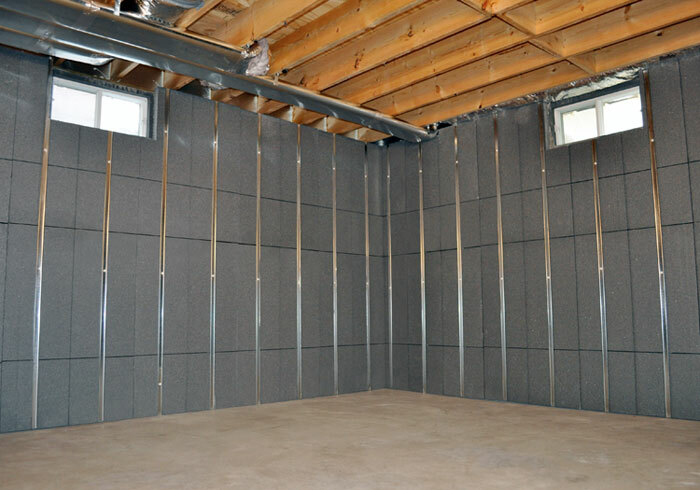 With wall panels installed, your basement walls with have an industry-leading R-13 insulation rating! Installing wood studs and fiberglass batts in your basement is a lot of work! Each stud will need to be custom-cut -- a labor-intensive job to say the least. 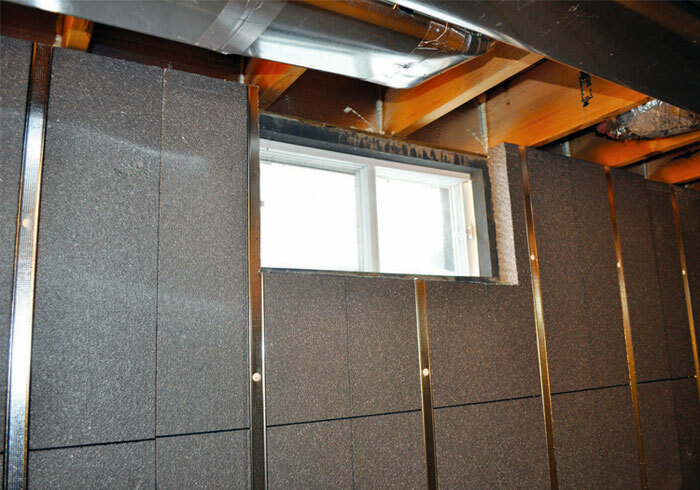 Our insulated panels come with built-in studs, which means your basement is ready to be finished as soon as the installation is complete. This saves you an enormous amount of time! Our system also bypasses one major weakness that most systems with metal studs have. Typically, a metal stud system will go straight through the insulation. Heat passes readily through these metal studs, creating "cold" spots on your walls that undermine the insulation's value. 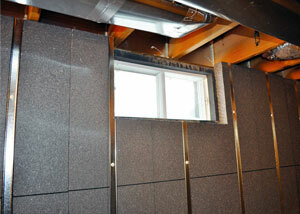 Basement To Beautiful™ Panels separate the walls from the studs with 2" of insulation -- saving you from losing heat. And with your basement walls insulated, you can save between $250 - $450 or more on your utility bills each year! We Can Prepare Your Basement Walls For Finishing! Our experts can quickly and effectively prepare your basement walls for finishing -- with a high-quality, waterproof product that meets International Code Standards for basement insulation. Once installed, your basement will be warmer, healthier, and more comfortable than ever before! To find out how we can help you insulate your basement walls and prepare them for finishing, contact us today for a free, no-obligation basement insulation panel quote! Our free quotes are provided with an on-site consultation, professional inspection, and written cost quote. Before we visit your home, you'll also receive a mailed copy of our free, full-color basement book. Our dealers are proud to serve homeowners throughout Canada, the United States, Ireland, and the United Kingdom. When you need a solution for your basement, we're here to help you!